At 40, Ye had become a star of the economic world. In 2017 his conglomerate, Cefc, made 43.7 billion US dollars. But there are suspicions of fraud. Ties with members of the Party and the army to receive gigantic loans from the State Banks. Cefc shares collapse on the stock market. Beijing (AsiaNews / Agencies) - Under the direct orders of President Xi Jinping, the powerful young entrepreneur Ye Jianming has been arrested and put under investigation. 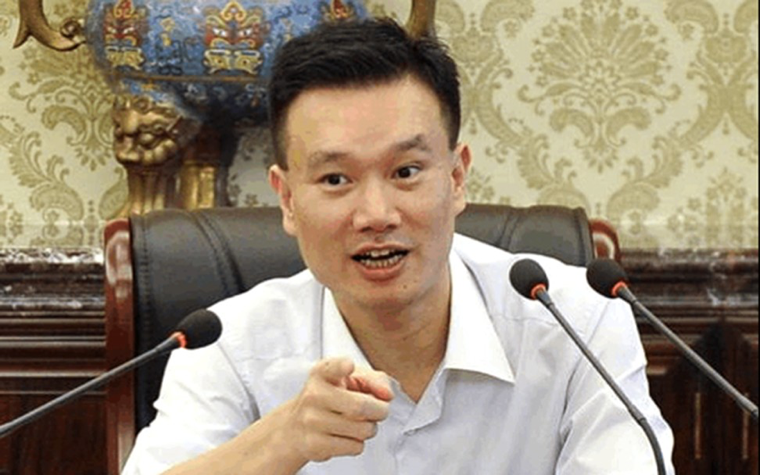 Ye, who is just over 40 years old, is a son of Fujian workers who in less than 10 years has risen to become head of Cefc, one of the largest companies in the oil field, which has expanded in Europe, the Middle East, Central Asia and Africa. In 2016, Fortune magazine listed Ye among the 40 most powerful young people in the world. Among its latest acquisitions, last September, Cefc bought 14% of the shares of Rosneft, the Russian state oil company, for 9.1 billion US dollars. News of his arrest has led to chaos in Cefc shares, which in one hour lost 4 billion yuan (about 630 million US dollars) on the stock exchanges in Hong Kong, Shenzhen, Shanghai and Singapore. In Hong Kong, shares fell by 29%; in Singapore 11%; in Shenzhen and Shanghai by 7.8%. The Shanghai Stock Exchange decided this morning to suspend trading of Cefc bonds due to "unusual fluctuation", after their value had fallen by 34%. According to the 2017Fortune ranking, Cefc accumulated US $ 43.7 billion in revenues, positioning itself above Coca-Cola, Goldman Sachs and Honeywell. But its economic situation and the way in which it manages to find billion-dollar loans for its acquisitions remain unclear. According to various media, in all these years, Cefc has exploited links with some powerful Party officials, including that of the late Chinese president Ye Jianying. Ye has built links with other Party personalities appointing former army generals and cadres to top positions in different companies affiliated to Cefc, and thus succeeding in obtaining huge loans from the state banks and implementing cooperation (and coverage) with state companies. According to the Caixin economic magazine, this collaboration has allowed Cefc to easily obtain loans and to show positive results in the budgets of state-owned companies, even if now Ye is suspected of fraud and of having falsified commercial agreements. With all this, Ye also earned the titles of "economic policy adviser" from Czech president Milos Zeman and "honorary special adviser" to the UN General Assembly.